This module considers the clinical use of anticoagulants: the initiation of anticoagulation with vitamin K antagonists and practical issues around monitoring; the use of non-vitamin K antagonists oral anticoagulants (NOACs) and their effect on laboratory tests; and interruption of anticoagulation for invasive procedures and in patients undergoing cardioversion. The therapeutic indications for anticoagulants in acute coronary syndromes and non-valvular atrial fibrillation (AF), as well as their use in cardioversion for AF, are covered in module 3, which also considers the choice of anticoagulant for stroke prevention. The use of anticoagulants in heart valve disease is covered in module 7 of our heart valve disease learning programme. The level of anticoagulation is assessed using the International Normalised Ratio, or INR. The INR is derived from the prothrombin time, with a correction to adjust for the sensitivity of each laboratory’s reagents (see below). The INR therefore gives a standardised measure of the degree of anticoagulation with warfarin: it provides consistency between laboratories. The target INR depends on the indication for anticoagulation but for atrial fibrillation (AF) and most non-valvular cardiac conditions it is 2.5 (range 2.0–3.0). Table 1 shows the various indications for anticoagulant treatment, as well as INR target and range and the duration of treatment. There is great biological variability in response to VKAs. Most of this is genetically determined but there are also many interactions with drugs and foodstuffs. Two common polymorphisms in the cytochrome P450 2C9 system are associated with increased warfarin sensitivity, and mutations in the VKORC1 gene complex can cause either sensitivity or resistance to VKAs. Inducers or inhibitors of the cytochrome P450 system can have substantial effects on warfarin levels. Commonly-used drugs which can increase warfarin levels include several antibiotics, omeprazole, statins and amiodarone. Over-the-counter remedies can also affect levels (e.g. glucosamine can increase levels, St John’s Wort can reduce levels), as can some foods (e.g. grapefruit and cranberry can increase warfarin levels). Always consult the full list of potential interactions in the British National Formulary. Great care should be taken when making changes to medication in patients taking warfarin, including more frequent INR checks. Anticoagulation should be initiated only when appropriate follow up has been arranged. Frequent checks of the INR are required until the dosage is stabilised, at least twice in the first week, and if the patient is to attend an anticoagulant clinic it is often safer to defer initiation until first attendance at the clinic. Discuss the risks and benefits of anticoagulation with the patient and ensure they have consented to the treatment. If the patient is a younger woman, check that she is not pregnant or planning pregnancy as warfarin can cause embryopathy between six and 12 weeks gestation. Check for bleeding history and other medication that may interact with warfarin (see table 2). Also check baseline INR, full blood count, liver and renal function. Complete the BSH/NPSA yellow Oral Anticoagulant Therapy card (figure 2) and dosage record (or other appropriate written information) and give this to the patient. Keep separate clinical notes including INR results and dosage. the importance of informing health care professionals about anticoagulant use. The effectiveness of warfarin hinges on its effects on vitamin K levels. 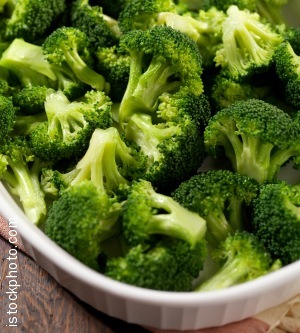 Increasing the amount of vitamin K by eating more broccoli can make warfarin less effective. Rapid induction regimes are not suitable for out-patient or community use as they require daily INR checks. They are more likely to result in very high INR values or warfarin-induced skin necrosis caused by steep falls in protein C and S levels. A suitable regime for patients with AF is the Tait and Sefcick algorithm.4* This uses a 5 mg dose of warfarin for the first four days provided the baseline INR is no greater than 1.4 and the patient is not on amiodarone, in which case 3 or 4 mg should be the initial dose and the dose adjustments modified. Other risk factors such as age >80 years, heart failure, liver disease or other bleeding risk should also prompt a reduced starting dose. INR checks are carried out twice weekly for the first two weeks at least.